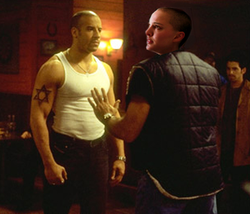 Vin Diesel facing off with the Leprechaun Khan. 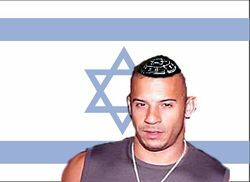 Since no Jew ever visited Israel prior to mass Zionist immigration, it came as a great shock to most that the area was already occupied: a magnificent kingdom of Leprechauns was thriving among vast fields of exposed Marijuana. Determined to bring about the end of all violence, the Zionist leadership held the course and by 1917, over 10 million Jews were living in Israel, battling the debilitating effects of the deadly Marijuana fields, as they struggled to mine and sell the ore abroad. This page was last edited on 14 February 2016, at 01:49.